When fluid builds up in the space between the cells of your body swollen feet can occur. There are many reasons why this can happen; some are minor and temporary but others are more serious. If you are concerned about your swelling or want to determine its cause, you should consult your doctor, especially if you have an underlying medical condition such as diabetes. Swollen feet can indicate that there may be a serious problem with your heart, kidney, liver or blood vessels. Varicose veins or a trauma such as an ankle sprain can also cause feet and ankles to swell. Other causes could be a poor diet that’s high in salt, an allergic reaction, poor circulation or the side effects of medication. Elevating your legs is one of the simplest things you can do to try and minimise swelling. 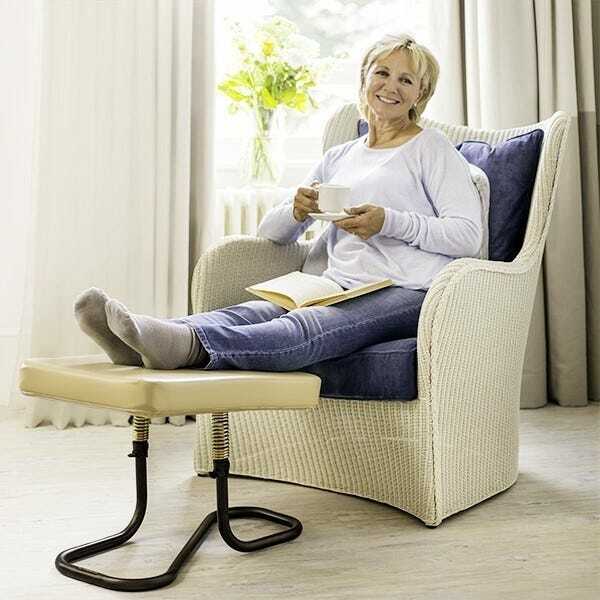 Sitting with your legs up on a foot stool or our Restaleg can be a great remedy for reducing swelling. You can also try walking more often to increase muscle activity and improve your circulation.